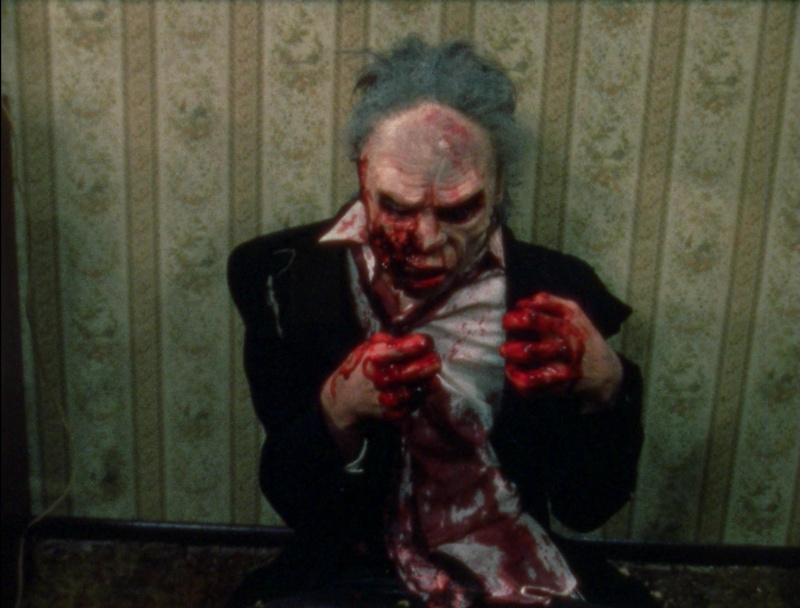 Originally begun in 1985, The Dead Next Door was an odd mascot of sorts for what was promised to be the next wave in young horror filmmakers coming out of grassroots America. The Akron, Ohio-shot production began as a modest homemade production to be shot on standard home video cameras with director J.R. Bookwalter, a horror fan with a few shorts under his belt, doing almost every job behind the camera. However, things changed dramatically with the involvement of a cadre of Michigan-based talent formed under the wing of Sam Raimi, whose financial involvement in the film (including a pseudonymous producing credit as "The Master Cylinder," one of the worst-kept secrets in indie horror) meant several of his more famous associates came on board in one capacity or another. Despite extensive horror zine coverage for years, the film was plagued with production and financial issues that kept it from seeing the light of day until its VHS premiere in 1989 from Tempe Video. Thanks to the years of hype, many fans were baffled when they eventually set eyes on the finished product, a gory, energetic, but undeniably low-budget love letter to '80s horror films with far more dedication and ambition than actual filmmaking savvy. Almost every character is named after a horror filmmaker or character (almost to the same absurd level as Night of the Creeps with names including Carpenter, Raimi, Savini, and even "Jason" and "Vincent"), and the very loose plot (which often feels like a random series of interconnected sketches) offers a semi-comedic take on plot elements pulled from George Romero's holy zombie trilogy including a bedroom showdown, urban street warfare, and a zealot capable of making the undead plague a whole lot worse. After a zombie apocalypse has spread across the United States, the Zombie Squad 205 is one of the few forces left to help humanity fend off the constantly expanding menace. The zombies they don't wipe out are captured and delivered to Dr. Moulsson (Pecic), who hopes to find a curse; the urgency increases when one of their own is infected, which pits them against a fanatical cult leader, Reverend Jones (Kokai), with an agenda of his own. The main thing to understand when approaching this film is that it started life as an average shot-on-video '80s horror project and still feels like one, despite the fact that it ended up being shot on Super 8. The constant gore effects are really the main selling point here, and indeed they are often inventive and splashy enough to make the GoreZone crowd at the time very happy. However, the story doesn't even try to rise above the level of puddle-deep genre homage, so don't expect any kind of social resonance, character development, or unique visual flourishes. The acting is also barely competent and doesn't aim very high, though Peter Ferry has a certain square-jawed appeal as team leader Raimi (one of two characters dubbed by an uncredited Bruce Campbell!). All told, it's easy to see how this has picked up a minor cult following over the years due to its reputation and its capturing of a unique, optimistic moment in horror history when anything seemed possible... before it all cratered out for a while in the '90s. 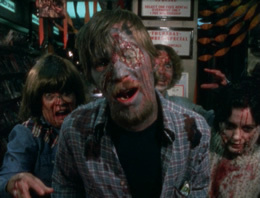 As anyone who viewed the original VHS of The Dead Next Door noticed immediately, the film was shot on film but clearly edited on video with low-grade credits easily marking it as a straight-to-video project of the time. (The opening title card is a particularly obvious offender.) Since no edited version existed on film, the original unprocessed footage had to be exhumed for its DVD premiere in 2005 from Anchor Bay, complete with new credits generated for the opening and closing titles as well as location identifiers. The running time also changed from 82 minutes to 78 due to these changes, so nothing really substantial was altered apart from an aesthetic update. The film elements were still visibly damaged throughout, but at least the DVD marked a big step up in terms of visual quality. Some of the original film elements were lost somewhere along the line, so some shots (mostly cutaways to people running or reacting) had to be sourced from the VHS master, graded as well as possible to match the new transfer. That release includes a 5.1 remix, a 2.0 stereo option, and a lively audio commentary (with Bookwalter, actor Michael Todd, and cinematographer Michael Tolochko), 19 minutes of making-of footage with Bookwalter narration (including lots of automotive anecdotes and a visit to Renaissance Films), 7 minutes of deleted scenes and outtakes (again with Bookwalter commentary) including a soapy detour wisely cut from the final cut and a jettisoned bit by filmmaker Josh Becker as a zombie, 8 minutes of storyboard footage, 5 minutes of test footage to see whether the film could be shot on video, 14 minutes of audition footage, a "20 Years in 15 Minutes" retrospective featurette with the cast and crew, a jumpy 6-minute panel from a Frightvision screening in 2000, a music video, a trailer, and two hefty image galleries. In 2015, Bookwalter and the rest of the gang at Tempe spearheaded an Indiegogo campaign to bring a Blu-ray release to fruition including copious extras that couldn't be realized for the DVD release. The end result definitely exceeds expectations with a packed three-disc edition that will most likely serve as the final word on this film for the rest of eternity. 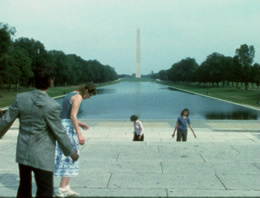 For the third time, the film had to be edited from scratch from a 2K scan of all the film elements, which were then assembled with greater skill thanks to technological advances that allowed for more delicate color grading and the removal of some barely visible flubs (dolly tracks, ladders, etc.) that were far more glaring in HD. Once again the missing shots had to be sourced from VHS, and though the substitution is obvious (including a different frame rate and much harsher appearance), they're integrated pretty well if you know what to expect. Unfortunately several of those shots are right at the beginning during the prologue, so don't panic; 95% of the film looks immeasurably better once it settles in. Overall the transfer looks incredibly good for Super 8, wringing as much detail as possible out of the source with very healthy, punchy colors throughout. In an interesting touch, you get two DTS-HD MA 5.1 options: the "classic dubbed mix," which was created entirely in post with only two of the actors providing their original voices, and an "original cast mix" using as much of the highly problematic production audio as possible to salvage the original voice performances. The Blu-ray defaults to the original cast mix, but newcomers and casual viewers would be far better off sticking with the classic dub as it's more polished and doesn't have people's voices alter radically from one shot to the next in some scenes. Also included is a newly recorded "2015 producers' commentary" with Bookwalter, producer/actor Jolie Jackunas-Kobrinsky, and associate producer Scott P. Plummer, who swap production stories and offer another take on the oft-repeated tale of how they managed to get those insane shots of zombies climbing the White House fence and shambling around in front of the Washington Monument. (End result: nobody will ever be able to get shots like those again.) Also included on the Blu-ray are the usual behind-the-scenes reel and the deleted scenes (with the same commentary), a 12-minute Q&A with the cast and crew at a 2015 Capitol Theatre screening, a 16-minute Bookwalter intro for a 2015 screening at The Nightflight, four images galleries ("around the world" home video artwork, storyboards, behind the scenes, and production stills), and trailers for this film, Platoon of the Dead, and Poison Sweehearts. 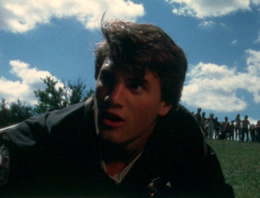 However, the most useful new extra here may be "Restoration of the Dead," a 19-minute explanation by Bookwalter about the three different editing passes performed over the years, the reasons for the dubbed soundtrack, and the process used to bring the film to modern HD, including an alternate 1.78:1 matted version included on the Blu-ray. The original 1.33:1 option is still the more preferable overall as it gives the compositions some much-need breathing room (a la the two framing options on the Blu-ray of the first Evil Dead), but there is some merit to the new framing with the wider zombie attack shots gaining some cinematic oomph in the process. Disc two is a DVD featuring the previous two versions of the film, the the original 1990 VHS version with stereo 2.0 English and Spanish audio options and an audio commentary with Doug Tilley and Moe Porne of the No-Budget Nightmares podcast (basically this is their episode about the film), which operates as a fine primer to the film's role at the height of SOV mania on VHS. It's fun to revisit the old VHS version of the film, with those opening credits and the general lo-fi texture giving it a kind of nostalgic kick. Also here is the 2005 DVD transfer with the same two audio options and commentary track, so don't feel the need to hang on to your old Anchor Bay disc unless you're a die-hard completist. As with the first disc, optional English subtitles are also included, a nice touch. All of the remaining 2005 DVD video extras are ported over here ("20 Years" featurettte, storyboard, preshoots, auditions, Frightvision reunion, and music video), but some more new goodies have been tucked away on the DVD, too. A trio of early, silent Bookwalter shorts offer an amusing look at his earlier stabs at zombiedom (with the director providing commentary, some hilariously alongside his six-year-old daughter!) including 1979's "The Flesh Eater" (a cute bit of bloody mayhem shot one night after a birthday party), 1980's "Zombie" and 1985's unfinished "Tomorrow." "The Dead Up North" features 10 minutes of Bookwalter at the Ottawa Student and Independent Film Festival in 2005 answering questions from the audience, and a 15-minute reel of local TV appearances by Bookwalter and company over the years; the final minute (with the guys handing out posters in full zombie makeup and hanging with a midget in a track suit) is a real keeper. A 90-second reel of early '90s TV commercials to promote the release is pretty incredible, featuring exclusively shot footage of a potential viewer being attacked on a couch (with the director popping in for a special message) and a melee in a video store echoing one of the film's most memorable (albeit too brief) moments. A 9-minute "Making-of Excerpts" video is essentially a condensed version of a retrospective doc about the film, presumably concocted for a video reissue of some kind with more behind-the-scenes footage and interviews with the cast and crew (plus a now-dated "where are they now?" bit at the end). 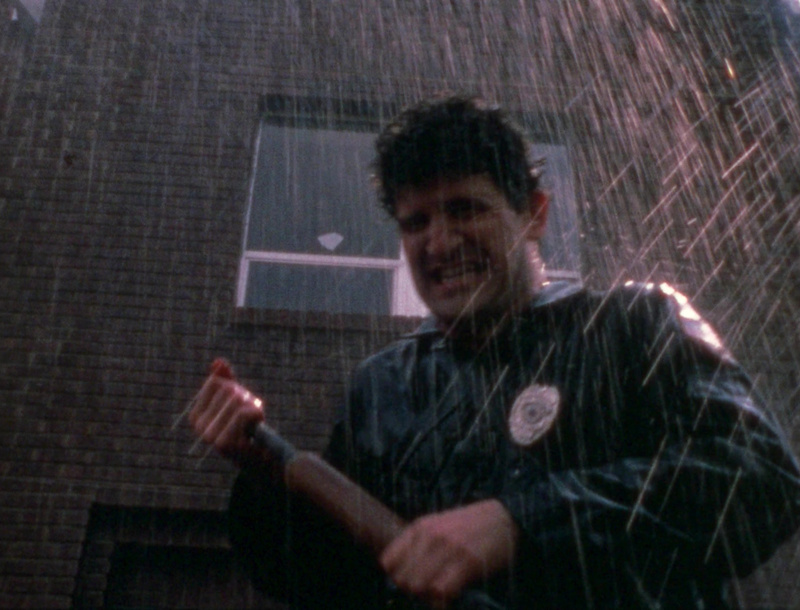 Finally the DVD wraps up with the original 1989 trailer for The Dead Next Door and bonus ones for Kingdom of the Vampire, Ozone, The Sandman, and Polymorph. Disc number three is actually a soundtrack CD, offering the entire score composed by Bookwalter (which was previously available from Tempe) along with, at last, the addition of all the songs heard in the film from artists like Joy Circuit, Argus, and In-Nine. The first 1,000 units of the release, sold directly from Tempe, also come with an 8-page insert booklet featuring a liner notes essay by Fangoria's Michael Gingold about the film's unusual Super 8 status and how it all came about. Every zombie movie should be treated this well. Reviewed on January 15, 2016.